The former CEO of Allied Marine and a small Opa Locka, Fla., boatbuilding company have teamed up to reintroduce the legendary Blackfin sportfishing boats, which were some of the best-riding offshore vessels built in the 1980s and 1990s. Admirers of Blackfin might have been unaware that the boats never really went away. Blackfin Boats, which currently consists of Miami boatbuilders Jose Suarez and Gustavo Cardona and various contractors, has been quietly turning out about a dozen boats a year since 2001. Dwight Tracy & Friends and Blackfin announced a partnership in March at the Palm Beach International Boat Show for the marketing, sales and distribution of an expanded line of updated Blackfins. 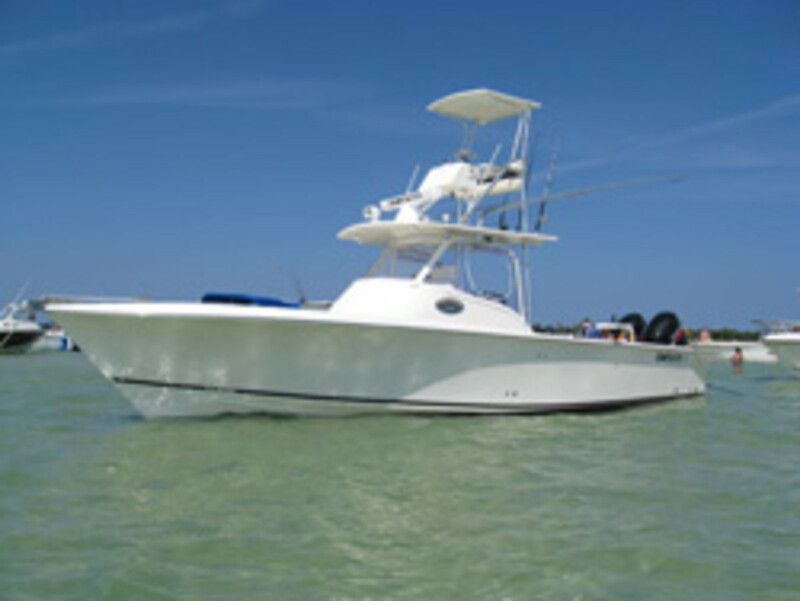 Click play for a look at Blackfin Boats. Cardona and Suarez have built roughly 100 Blackfins — a 27-foot center console, a 34 Open and a 34 Fisharound. The 34s are lengthened outboard-powered versions of the Blackfin 32 (originally designed by Charles Jannace as the Blackfin 31 in the mid-’70s). The company, which displayed a center console version of the 34 with triple Yamaha F300s at the Palm Beach show, has the molds for the 33 Combi and the 38, 40 and 42 Express, Suarez said. The short-term plan is to first build a modern version of the 42 Express. That boat is expected to be finished in just under two years. “It’s a great product, and it is time to get it out there with the competition,” said Suarez, 42, who builds the boats with Cardona, 43, in a 16,000-square-foot building. That’s about to change, said Phil Friedman, the former CEO and president of Palmer Johnson Yachts, whose current company is assisting Dwight Tracy & Friends in the relaunch. “The bottom line is these guys love to build boats, but have not developed into a force in the market as they had hoped,” said Friedman, managing director of Port Royal Group LLC in Pompano Beach, Fla., a marine technical and business consultant company. Blackfin fell on hard times in the late ’90s. Detroit Diesel bought out the company and sold the assets to investor Alvin Wright, who initially tried to subcontract the construction of the boats, Friedman said. His own company later built them with the supervision of Cardona, a Cuban-born American boatbuilder. The Blackfin/DT&F team promises to build sales and production into annual numbers of 50 to 60 units during the next two to three years, Friedman said. Negotiations are under way to add about 18,000 square feet to the manufacturing building, he said. “We have a labor pool in South Florida that is replete with skilled people who have worked at places like Bertram,” said Friedman, who expects the workforce to double during the next two years.